At SumUp, we are driven to empower small businesses across the globe by de-hassling their lives and helping them to succeed. Our vision as a global FinTech company is to build the first-ever global card acceptance brand, and we are well on our way as small businesses in over 31 countries around the world rely on SumUp to get paid. To get there we are putting together an awesome team that is committed to one another and to our merchants. You could be our missing link! Help us bring card acceptance to the masses! Our boldness, startup mindset, empathy and love for product foster a creative environment for our employees. We value an entrepreneurial spirit and seek to build lasting relationships among our employees. We know that a diverse and inclusive workforce keeps us competitive and provides opportunities for all. We believe that together we can help small businesses grow. In this role, you'll work with a small cross-functional team to build tools that help hundreds of thousands of small businesses thrive. By shipping code early and often, you'll see the impact of your work on merchant's daily lives right away. You'll collaborate with experts in product, design, and operations to deliver mission-critical internal and external features that power the SumUp ecosystem. We work on a number of different projects that span technologies, systems, and processes. A few of the technologies we're leveraging on the web at SumUp include React, Webpack, Jest, Enzyme, Storybook, Next.js, Gatsby, Emotion, Node, and Docker. Help us continue to develop our open-source projects and culture. Our merchant-facing React app, replete with all the modern tooling (Webpack 4, Prettier, Jest, and Enzyme to name a few). The application provides functions like analytics, employee management, ecommerce, onboarding, and referrals. Many cool features are in the pipeline surrounding Point of Sale, product catalogue, and more. Our website, built with React and Next.js and modern tooling. Today we enable our marketing, business development, and communications teams to build custom pages with React components. Tomorrow we are building more tools to improve editor productivity, handle our expanding product offering, and educate merchants on growing their business. Our design system and component library, built in React, using Emotion for css-in-js. These components can be used in all our different web applications. We use Storybook as a component workbench and Gatsby to generate public-facing documentation. And many more, like our SumUp for Developers tools, ecom gateway, open source integrations, internal applications, and greenfield projects. We also do CI with Docker and Jenkins, and have many more plans for how to leverage containers for our apps. If you're interested in diving into the platform or getting your hands dirty in devops, you're encouraged to extend your impact to those areas as well. In general, technology excites you and you strive to learn something on a daily basis! Opportunity to be a partner with SumUp in achieving its goal to becoming the first global card acceptance brand. Empowerment of employees to fulfill their role in the organization. We get together regularly for brunches, cocktail nights, football and office parties. One of your favorite coding challenges you encountered in the last two years: what was it about, how you tackled it, and what you learned. Technical details encouraged! You can also choose whether to include a CV, a link to your Xing/LinkedIn, a link to your github, tech blog, or portfolio – whatever you think will give us the complete picture! At SumUp, we are driven to empower small businesses across the globe by de-hassling their lives and helping them to succeed. Our vision as a global FinTech company is to build the first-ever global card acceptance brand, and we are well on our way as small businesses in over 31 countries around the world rely on SumUp to get paid. To get there, we are putting together an awesome team that is committed to one another and to our merchants. Our boldness, startup mindset, empathy, and love for product foster a creative environment for our employees. We value an entrepreneurial spirit and seek to build lasting relationships among our employees. We know that a diverse and inclusive workforce keeps us competitive and provides opportunities for all. We believe that together we can help small businesses grow. Company Events on a regular basis. Come party with us! 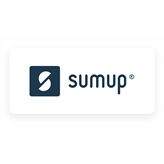 Want to get notified about new jobs at SumUp?